Here's yet another polish from the new KOH Elements collection. I'll keep this short. I've got three coats on. 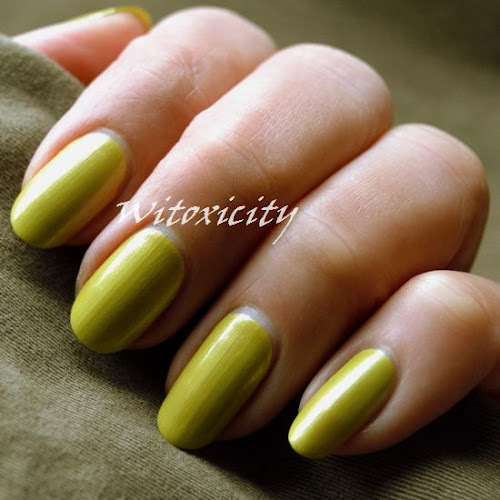 KOH Leaf can be described as a yellow-green, a chartreuse with shimmer. If you'd like a contemporary reference, think Shrek gone pale. This color is really original!! This color is really pretty! It looks great on you! Ik zie dat er iets is fout gegaan met mijn commentaar. Staat je trouwens heel goed. Very beautiful, love the chartreuse - very unique in polish, for me!